Shell is hosting a four-day festival of ideas and innovation, with the aim of providing a platform for innovation, collaboration and conversation about the global energy future. The event, which starts today (30 June) runs for four days until the 3 July and was devised with agency Imagination. It is taking place on a site the size of four football pitches in London’s Olympic Park and will be the UK’s largest branded festival, set to attract 40,000 visitors including 9,000 school children from around the UK. There will be more than 15 thousand square meters of technology activities to play, learn and share, including a 2.2 km race track, entertainment and celebrity appearances. The Festival aims to be one off the world’s most exciting tech experiential events, with interactive games, virtual reality experiences, an Instagram takeover that transforms the @shell account into a live interactive map and numerous live social media streams. 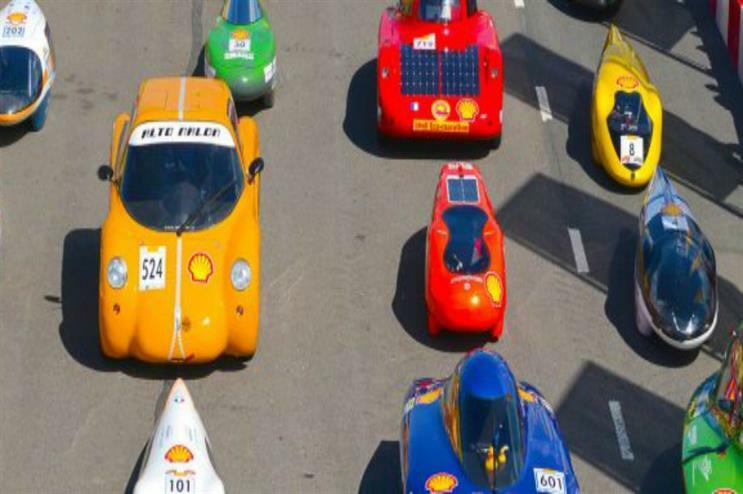 The event will also feature the Shell Eco-marathon, where more than 200 teams from all over Europe will compete on a specially-designed track around the Queen Elizabeth Olympic Park to see how far they can drive on the equivalent of one litre of fuel. The current record stands at 3,771km – enough to go from London to Rome and back again.